If you ever wanted to see what it would be like to take a road trip with your friends to try and become rock stars but never had the courage to do so, this film serves as an alternative. My Way, a documentary from Vinny Sisson and Dominique Mollee, follows Rebekah Synder-Starr and her Estonian friend Annika Alliksoo, members of the Rebekah Starr Band (having no relations to Ringo Starr and His All Starr Band) as they embark on a road trip from Pittsburgh, PA to the Sunset Strip in LA. 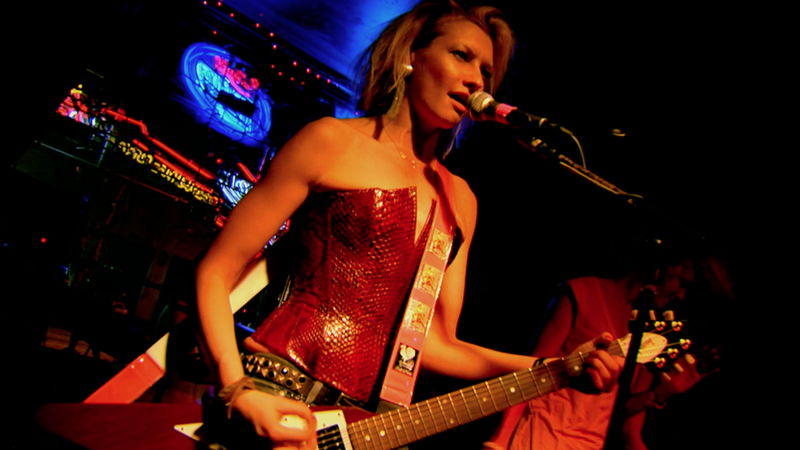 Synder-Starr has a dream of performing and making a music video on the famous Sunset Strip. The film chronicles how she achieves that dream, despite being continuously put down by her uncle and dealing with relationship problems including a husband who disapproves of her inspired journey. Most of the film shows what happens on their road trip as the band performs in bars, sell CDs, and get under each other’s skin throughout the ride. Spliced in with scenes from the journey are interesting interviews from Rikki Rocket of Poison, Steve Adler of Guns N’ Roses and Chip Z’Nuff, lead of his own band Enuff Z’Nuff, and other rock legends. Being a rock music enthusiast, these interviews are what drew me to the film. The viewer is given firsthand accounts about what it’s like to form a band and make that first trip to Hollywood to perform on the Sunset Strip, giving the film a sense of pride and authenticity. The interviews really offer a sense of how cool and special being in a band is. Although the interviews with the established artists are the highlight of the film, following the road trip of an up-and-coming band is also thrilling in and of itself. However, that doesn’t last throughout the documentary. There are times where Synder-Starr seems a little unlikable, almost oblivious to how other people are feeling throughout the trip (in particular, her husband). This is somewhat balanced out by her friend Annika, who is likable and easy to watch. The music itself also can be a good or bad thing, depending on your tastes. I love rock music, but much of the songs played by the Rebekah Starr Band I thought were on the level of an average local concert in your area; nothing particularly outstanding, but serviceable for you to have a good time out. There are also interviews from Ron Jeremy (yes, THAT Ron Jeremy). This confused me a ton because while he makes some genuine statements about the band it isn’t revealed until the end that he guest starred in their second music video, thus explaining his appearance in the film. Even with that cool tidbit, I don’t think he really adds anything to the movie, especially in a film with interviews from rock n’ roll greats. 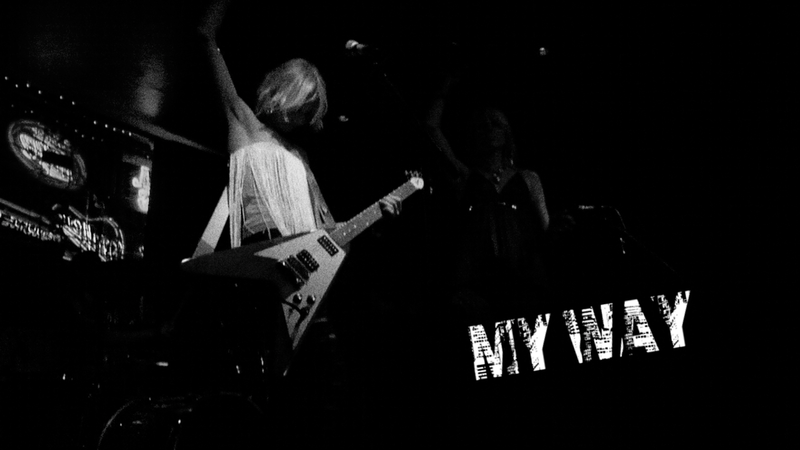 My Way offers some great moments and interesting parallels on starting a band, but it also can feel like an advertisement for the Rebekah Starr Band (no doubt part of the reason this film was made). Even so, I would still recommend this to anyone who is in a band or likes rock music/culture in general. For everyone else, however, it might be best to just take the highway. That Movie Nerd, aka Kevin Morrison, is an NYU Tisch Dramatic Writing Student who loves films!